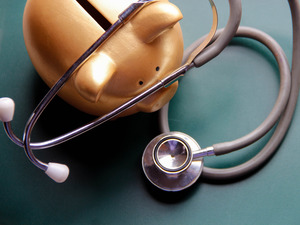 With the Budget unveiled, it is a good time to check the health of your own finances. ET Wealth takes you through a series of tests that will reveal if your personal finances are doing well or not. To reach goals within the desired time limit, it is critical to hike your savings towards the goal at least once every few years, in line with growth in income. This can be done in existing SIPs. There is no need to start fresh SIPs every year. How much have you hiked your monthly contribution towards mutual fund SIPs by this year? A. I stopped a few SIPs after the poor showing by the stock markets. B. I didn’t have enough surplus to hike my savings at all this year. C. I have increased SIP outgo by more than 5% after getting my annual increment. Just taking a life cover is not enough. You may need to increase coverage amount at different stages, such as when you take a home loan, expand your family or when lifestyle needs change. Are the needs of your dependents secured should you meet with an accident or untimely death? A. My current earnings will be substituted with adequate life and accident cover through term insurance and accident insurance. B. My insurance needs are low as my existing financial assets will provide necessary cover for my family. C. I have not yet taken life or accident cover. Emergencies can hit your savings hard if you have not created a buffer. Experts recommend maintaining an emergency corpus that will cover at least 4-6 months of expenses. This should be in the form of a liquid or short-term debt fund. Are you in a position to protect your savings in the event of an extended illness or loss of job? A. I will dip into my savings whenever the need arises. B I can cover up to 3 months’ worth of expenses with idle cash in my bank. B. I can cover up to 3 months’ worth of expenses with idle cash in my bank. C. I have put in place a separate emergency fund covering 3-6 months’ equivalent of expenses. Your financial goalposts shift with circumstances. If your goals have changed during the year or additional expenses have cropped up, revisit them and rework the target corpus. Else, you could fall short of funds when the time comes. Do your financial goals and targets reflect your existing personal financial situation? A. My financial targets are clearly outlined and have been reviewed with every change in personal circumstances. B. I zeroed in on the financial value for my goals earlier and continue to work towards the fixed target. C. I have identified my financial goals but have not quantified the required corpus yet. Stick to an asset mix that suits your risk appetite. Revisit your position at least once a year and correct any drastic shift in the mix by rebalancing components. If you try to time the market, it is likely to lead to disaster. Are the assets making up your portfolio in the right proportion? A. I will let the market situation guide my asset allocation. B. It is too much work, so I will let the asset allocation change on its own as the market evolves. C. I have brought the asset mix back to its desired level to avoid a skew in my portfolio. Keep tabs on your credit score. Verify information for accuracy, particularly if you are keen on applying for a high-ticket loan. If you find errors in the report, notify the credit reporting company and the relevant service provider in writing. Have you accessed your credit report lately? A. I regularly request for my credit report and check if my credit history is reflected accurately in it. B. I pay all credit card dues, utility bills and loans on time, so I don’t need to check my credit report. C. I will only check my credit score at the time I apply for a loan or credit card. You can save tax if you plan investments and expenses. Review the list of allowable deductions and take advantage of those you are eligible for. If you are unable to utilise 80C limit, check if you can claim little known tax deductions like children’s nursery fees. Have you taken benefit of available tax deductions this financial year? A. I have not even exhausted the Rs 1.5 lakh limit under Section 80C yet. B. I have taken benefit of the Sec 80C window and rebate on housing loan interest/HRA. C. Apart from utilising the Sec 80C limit entirely, I have claimed available deductions on my medical insurance, housing loan interest/HRA and additional deduction on NPS and set off any capital losses against capital gains. Recognising the extent of your burden is a good starting place to get out of debt. The total EMI outgo should not exceed 40% of your income. While paying back multiple loans, repay the costlier loans such as credit card and personal loans first.